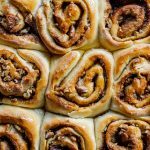 These sticky baklava rolls is a delicious sweet treat loaded with brown sugar, cinnamon and pecan nuts. The sticky syrup takes it over the top. There are a few desserts I always swoon over. Crème brûlée, Tiramisu, Apple tarte tatin and Baklava. These are the desserts I will order, no matter how much I’ve already eaten. 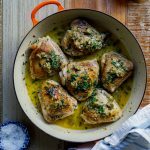 They are classics and when done right, are the most delicious things you will ever eat. 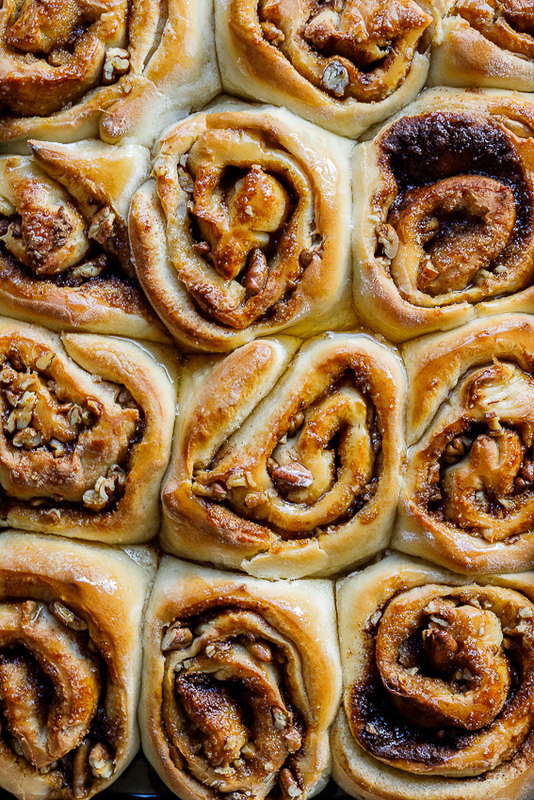 I made these sticky baklava rolls a while ago when I had a serious craving for cinnamon rolls. I wanted sticky, sweet, cinnamony goodness all wrapped up in a soft doughy bun. Drooool! I used my doughnut dough (full recipe and video) because it’s honestly such a versatile, fantastic dough and works perfectly for sticky buns/rolls. I filled the dough generously (understatement of the year) with butter, soft brown sugar, cinnamon, nutmeg and pecans before rolling and slicing. I baked them off while making the delicious baklava syrup flavoured with honey, vanilla and cinnamon before pouring the syrup over the baklava rolls the moment they came out of the oven. This allows the rolls to soak up all that delicious syrup and you guys. It was honestly such a triumph. These sticky baklava rolls were gobbled up in mere minutes so be warned: they are totally addictive. Make the dough per instructions and allow to rise. When the dough has had its first rise, press it out onto a floured surface to approximately 1-2cm thick. Spread the butter over the surface of the dough then top with the brown sugar, spices and pecans. Roll the dough tightly into a long sausage shape then slice into rolls (approximately 5cm thick). Place the rolls into a non-stick baking dish then allow to rise for 20-30 minutes until you pre-heat the oven to 180ºc. Bake the rolls for 20 minutes or until puffed, golden and cooked through. In the meantime, combine all the syrup ingredients in a small saucepan and simmer for 10 minutes until reduced. Pour the hot syrup over the baklava rolls when the come out of the oven and allow to cool for an hour. I have some people in town staying with me for a wedding shower. Could I make the dough the night before and then let it proof in the morning to save a little time in the morning? Where can I get the dough recipe for these?? They look delicious! If you click on the word “Dough” in the recipe box, it should take you straight to the dough recipe. Would you recommend doing this with any other type of dough or pastry? 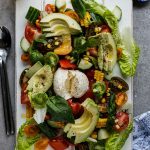 You could really do this with any pastry, puff pastry and phyllo would both work. The end result will obviously be less soft and pillowy and more crisp but it will be delicious nonetheless. 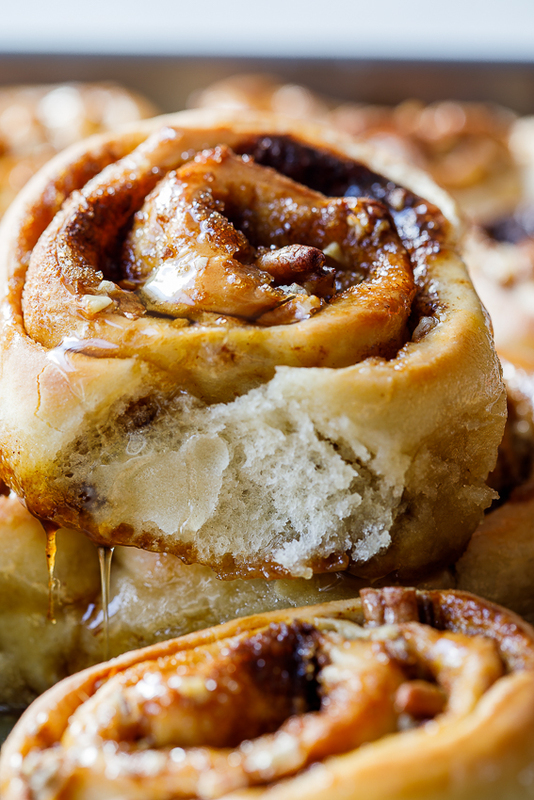 I could dive head first into that pan of sticky buns. Delicious! I love this idea. I’ve made your doughnut dough many times and have used it for simple ring doughnuts, filled doughnuts and now I’ll definitely try this too. That’s good to hear! 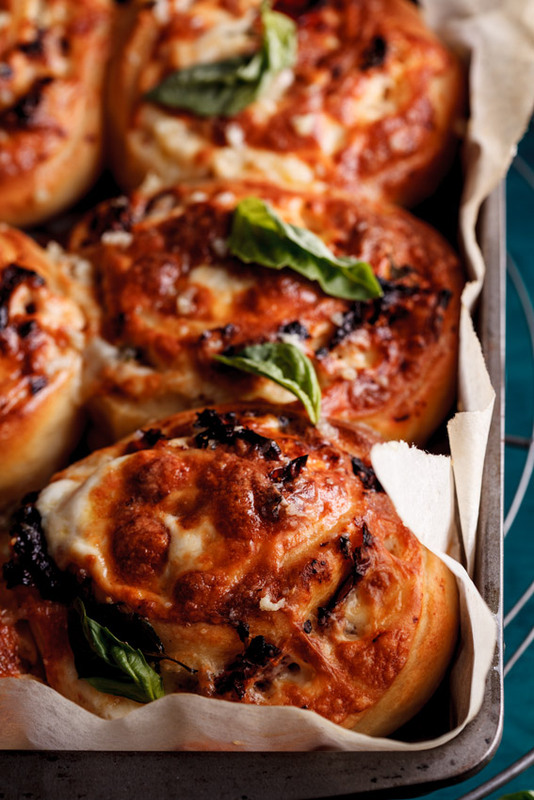 It’s such a great, versatile dough. 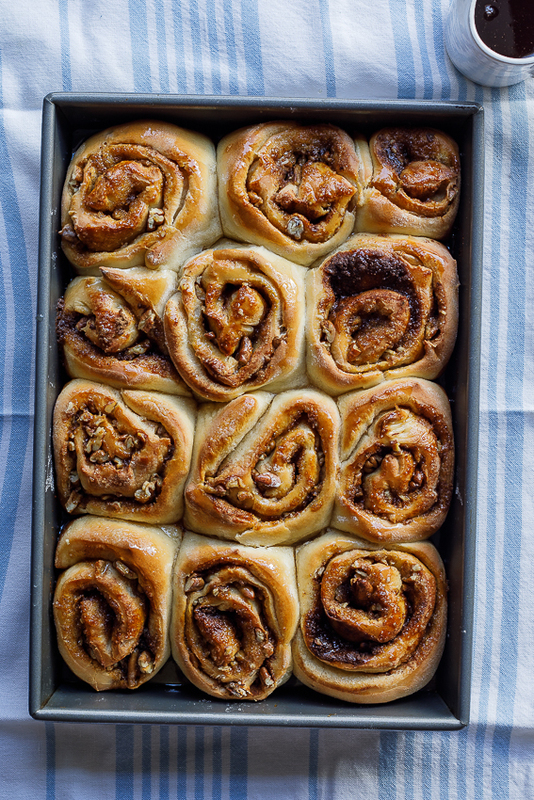 Let me know what you think of these sticky rolls. Oh my gosh. Baklava meets Cinnabon. Heaven! These rolls look so delicious. I love a good cinnamon bun!